Welcome and thanks for stopping by Pursue FIRE! If you are reading this, then it must mean that you are curious about who I am and why I am blogging about financial independence and retiring early (FIRE). I’ll try to keep things relatively concise (I’m known to ramble! ), but if you want to know more, or wish to ask me any questions, please always feel free to contact me directly. My name is Dan and I’m 42-years old. Being in my early forties I’m at a natural reflection point in my working career – the halfway point if you like (or at least as society would typically prescribe). While I have certainly had some success when it comes to earning money and managing personal finances, I also know that I have made just as many mistakes. It is my aim to eliminate past mistakes and avoid future ones in order to engineer financial independence for me and my family. Speaking of my job, I work as a product analyst in a large investment management firm in London. I work alongside portfolio managers and analysts who manage portfolios for some of the largest and most sophisticated institutional investors around the world, as well as for retail investors. In my twenty-years working in finance, I have seen and learned many things, much of which offers a valuable perspective within the context of personal finance, investing and planning for retirement. But I also see on a daily basis how the ‘machine’ works when it comes to the creation and promotion of investment products in the endless pursuit of assets and the fees that can be earned from them. While the enjoyment of my job is undoubtedly starting to wane, I have become skilled at solving some of the more complex problems (my entire week is mostly spent in excel!). It just so happens, that many of these skills are helpful in the context of FIRE. So why blog about financial freedom and retiring early? I want to do things that really matter and which carry some social utility. Yes, I have a good job, but does it really matter at the end of the day? And who does it matter to? I want to focus on doing things that really matter to me. I want to influence my children in the best way possible, be an amazing and attentive husband to my wife and a good friend that is always there in times of need. Yes, I can do those things while having a job, but I also sacrifice a lot of time and energy in order to do that job – time I believe can be better served elsewhere. Therefore, the pursuit of financial independence and retiring early is the roadmap to achieving my freedom. Personal finance is a topic that is too big to ignore, especially as there are some relatively simple steps that everyone can take to dramatically alter the course of their life. So many of our day-to-day actions, taken passively without reference to the future, can add months or years onto your working life. There are many things we are expected to do with our money as we progress through different stages of life. We just accept these as facts and are rarely mindful enough to consider an alternative path. After all, life has a habit of getting in the way and we become guilty of just ‘drifting’ along with no real actionable plan for the future. The traps of spending what you earn or ‘lifestyle inflation’ are evident everywhere. Do I have all the answers? Absolutely not, but I am learning each and every day to take proactive steps for our future. As much as I will offer my own opinion, experiences and advice on this blog, I never stop learning and look forward to learning from you too. The concepts of FIRE have awoken me to both the challenges and huge opportunities that lie ahead for me and my family. Pursue FIRE is my space to plot our journey, as well as share my own perspectives on personal finance, investing, saving and life hacks. While I know that there are countless personal finance blogs on the web, it is my hope that in some small way I can contribute something positive to the movement and offer my own unique perspective. Came across your blog via TheFIREstarter. 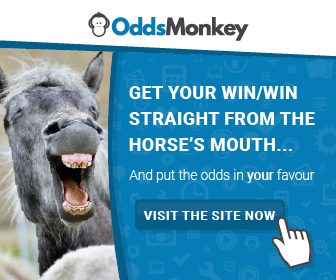 Have enjoyed reading your EW betting updates and love your interactive charts – wow! My bets are still below £5EW – I can’t stomach the variance so am willing to sacrifice big profits to avoid the big downswings! But I’m happy with my profits from MB so likely to continue with small bets for now. I use around 10 different bookies, most of which are gubbed but not too severely stake restricted. Look forward to reading more of your EW betting and other blog updates – all the best for your journey to FIRE. Hi Weenie and thank you for finding my site and leaving a comment! Like you, I’m taking a measured approach and generally won’t up my stakes until I’ve doubled account sizes. I also am wary of the horses winding down a little over the winter months so I think the optimal window has arguably passed. So I intend to keep things ticking along without going crazy and hopefully be in fine fickle when things really get going again in the Spring.